Founded in 2004, Power Camp was started as a small day sports camp through Myrtle Grove Evangelical Presbyterian Church. David Kolk’s vision was to see young people develop their skills in a specific sport in a safe and loving environment. With the help of FCA coaches and players, this became a reality. As Power Camp grew, it began expanding specialties and opportunities for kids to fully get a "summer camp" experience without leaving the city. It became a place where kids lives were changing through relationships, experiences and activities. Overtime a camp culture formed with camp songs, large camp games, team flags, spirit sticks, and Power Camp traditions. WE LOVE THIS STUFF became the Power Camp motto and it's true, WE LOVE THIS STUFF! Today camp is designed for 1st through 8th graders and offers many activities from typical team sports like soccer and basketball to your not so typical surfing and air-soft. Kids always enjoy playing games in the “Splash Zone” to keep cool in the summer heat. This camp is sure to be an adventure your Camper will be talking about all year long! Power Camp is a place for Camper's to be themselves, explore activities and make the best friends they will ever have. Our desire is to help promote good character, teamwork and sportsmanship while having a great time and encountering the love of Jesus Christ in a relevant way. I am finishing my last semester at Appalachian State, and will be graduating in May with a BSBA degree. I am currently the administration intern at The Heart church in Boone. My love for Jesus and my love for the Church makes my time here in Boone such a blessing. For the past three summers, I have had the privilege of working at Power Camp, both as a coach and as a coordinator. The opportunity to share the love of Jesus and change lives through sports is what I love most about this camp. I am overjoyed to be given this opportunity and to love on your kids for another summer. WE LOVE THIS STUFF! 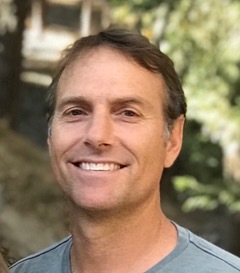 As a follower of Christ, I have had the privilege to work as a Physical Educator and Soccer Coach with K-12 students in private and public education in California and North Carolina since 1995. In 2004 my family moved to Peru where we served as cross-cultural missionary teachers. We then transitioned into a position as Director of Sports Friends Peru, where we helped establish a Church Center Sports Ministry with the mission of bringing the Gospel of Jesus Christ to at-risk youth through sport. A love for Jesus, youth and sport has guided me into this new chapter and I am excited to work with your kids at PC and apply some of the experiences I have learned along the way! Let’s make PC 2019 a rich experience for all! Every year Power Camp partners with a mission organization to encourage campers to "bring in loose change for life change." Access of Wilmington began as a non-profit organization in 2008 and over the past few years has developed multiple programs to benefit those with disabilities in our area. 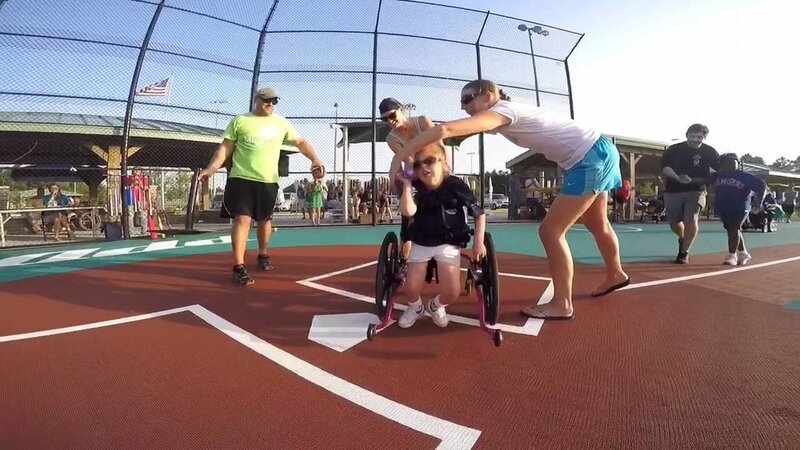 Access of Wilmington has developed the Miracle League where hundreds of children and adults living with cerebral palsy, Down syndrome, autism, and other physical, intellectual, and invisible disabilities can participate in a baseball league at their 33,000 square foot rubberized field. Sports Friends was established in 2002. Their vision is to see a global movement of local church-centered sports ministries transforming lives and strengthening communities with the Gospel of Jesus Christ. They do this by equipping churches in Africa, Asia, and South America to make disciples of youth, their families, and their communities through strategic sports ministry.